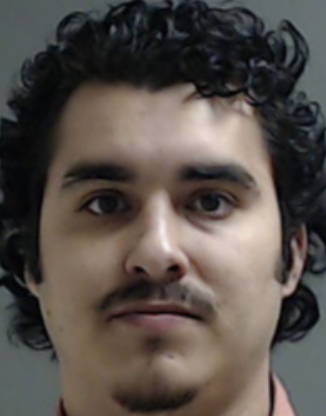 Ciro Manuel Rodriguez Trevino, 28, faces two counts of racing on a highway causing serious bodily injury for his alleged role in a two-car crash that killed Marcelo Flores, 20, and left Angel Cordero “Cordy” Garcia, 25, with a traumatic brain injury. Rene Raul Ramirez III, 23, also faces similar charges and will be tried separately from Trevino. Garcia, who was in a wheelchair as a result of his injuries sustained in the crash, was present along with members of his family. Family members of Flores and Trevino were also on-hand for the trial, which 370th District Court Judge Noe Gonzalez is presiding over. As opening statements and witness testimonies began Wednesday, it was clear that emotions were high in the courtroom. Defense attorney Jose Antonio “Tony” Gomez acknowledged as much, referring to the case as a “very emotional” one. Initially in question is whether Trevino and Ramirez were engaged in illegal high-speed racing on a McAllen street on the night of Jan. 5, 2016, which is when the incident occurred, and whether this caused the collision. The defense argues that Garcia, who was on the phone while driving his Jeep at the time, made a rolling stop at the intersection of North 10th Street and Sprague in McAllen — running a red light before crashing into Trevino’s Corvette. Gomez also called into the question the McAllen Police Department’s determination of the speed at which his client was traveling, which was determined from 10th Street businesses’ surveillance footage. “Everything was recorded in this case,” Gonzales said of video evidence, which includes a GoPro camera found in Flores’ lap. The trial is expected to last into early next week. If convicted of the second degree felony charges, Treviño faces between two and 20 years in prison and a $10,000 fine.